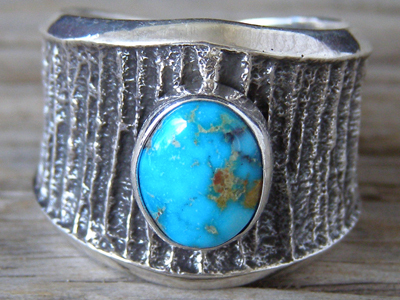 This tapered shank is decorated with a deep texture sandcast design with a stone of natural, untreated Kingman turquoise set in a wrapped bezel. Gorgeous! Width of shank in front: 3/4"